After first proposing a bill that didn’t go far enough to protect our waters from plastic waste, state legislators have returned with what would be, if passed, the nation’s strongest legislation aimed at reducing single-use plastic products. 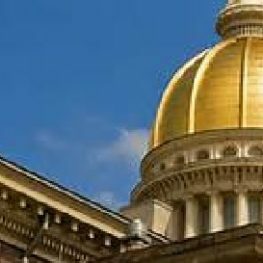 Last week, the New Jersey Senate Environment & Energy Committee considered three resolutions and one bill dealing with plastics and plastic waste. All four passed out of committee. The bill would ban single-use plastic shopping bags, styrofoam food containers and plastic straws. It would also impose a 10-cent fee on paper bags at grocery stores. The action in Trenton came a month after Gov. Phil Murphy vetoed a bill that would have placed a 5-cent fee on plastic grocery store bags … legislation that many conservation groups, including Raritan Headwaters, felt didn’t go far enough. Senators Smith, Greenstein, Codey, and Bateman voted yes on the new bill, while Senator Oroho voted no. The bill now moves to the Senate Appropriations Committee and, we hope, eventually before the full state Senate. It has not been heard yet by the state Assembly. Raritan Headwaters has been concerned for many years about plastics in our waters. In the summer of 2017, we launched a study into microplastics in the South Branch of the Raritan River. These microscopic plastic fragments are often created by larger plastics – including bags, straws and food containers – breaking down. The results of our microplastics study are expected to be released this fall. And during our annual Stream Cleanup in April, volunteers picked up 2,370 plastic bags along the Raritan River and its tributaries within our watershed. Plastics harm the creatures living in aquatic and marine environment, and can make their way up the food chain to impact human health. 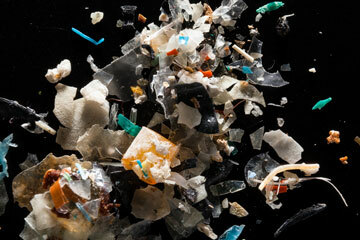 Microplastics can also find their way into public drinking water. Kudos to the Senate Environment & Energy Committee for taking steps to get rid of single-use plastics in New Jersey. Let’s hope the rest of the Legislature agrees.